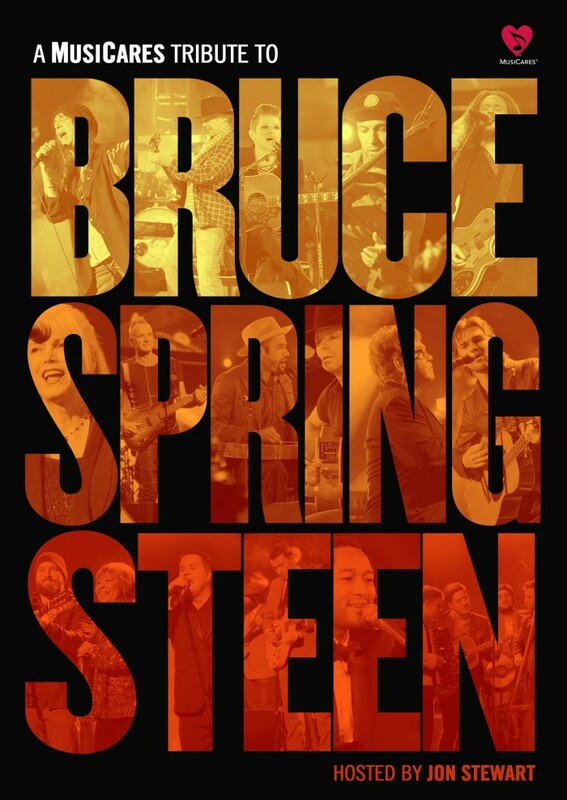 The 2013 MusiCares® Person of the Year concert film honoring Bruce Springsteen will be released March 25th on DVD, Blu-ray and via digital download. The sold-out event, which was hosted by Jon Stewart, recognized Springsteen's extraordinary creative accomplishments as well as his significant charitable work and featured performances by Bruce Springsteen and the E Street Band in addition to more than a dozen performances of Springsteen's work by other artists. Columbia Records is proud, through this project, to provide essential support to MusiCares, which ensures that music people have a place to turn in times of financial, medical and personal need. Then, on April 19th, Bruce Springsteen will release 'American Beauty,' a special Record Store Day 12" vinyl EP from Columbia Records. The EP features four previously unreleased original songs that were considered for the 'High Hopes' album that debuted at #1 on Billboard 200 last month. Bruce Springsteen's latest album 'High Hopes' reached #1 in the United States and in 20 other countries, and marked Springsteen's historic 11th #1 debut on the Billboard 200 in the US, which is now the third-most #1s ever on the chart. For more information on MusiCares, please click here .